Today we travel to South again. Our next target is the always sunny Greece, a little nation again. We have interview with a pretty young woman who is just 23 years old, but already have memories from Winter Olympic Games. Yes, today we asked Panagiota Tsakiri. BFH: Dear Giota, thank you to accept our request. How are you now, and how do you spend your summer? Giota:.Thank you for your request and your interest! The world of biathlon are mostly interested in the dominant athletes and countries, so it was such a nice surprise that you wanted to know about my little story. I am very good, spending the summer with my family in my hometown, here in Greece. BFH: Will we see you in some summer competition or you prepare yourself only for the winter season? Giota:.I am getting ready to start at the Rollerski World Cup in Tripoli, Greece, during next weekend. 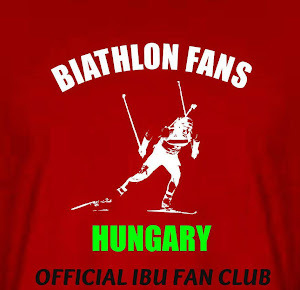 There are also some international and Balkan biathlon races during summer that I would like to race, as it would be good chances for training, but that depends on our federation’s financial support. Giota:.Vancouver was my 2nd Olympic experience. The first time was in Torino 2006 where I competed in cross country. Words are not enough to describe such an experience…I was just 16 years old back then and thrilled to have accomplished to qualify for the Olympics, so I really enjoyed it. The Olympic Games in Vancouver were very special to me. I qualified and started in biathlon but I had with me the most special teammate; my father! After a great career of 26 years in CC and biathlon, he accomplished his 5th Olympic participation and we managed to achieve the World Record of “father & daughter racing together in Winter Olympic Games”. I have never felt prouder before, no matter which were our standings after finish, anyway we are not professionals. The most important thing is participation. And my Olympic participations are the most amazing experiences I have ever had! BFH: You raced there and also race now with the biggest names in the World like Magdalena Neuner, Tora Berger, Olga Zaitseva, Helena Ekholm, Kaisa Mäkäräinen etc. ... Have you ever got plus motivation during the races and the trainings? Giota:.Yes, I did have the honor of racing together with great athletes. I admire them and their effort and always feels so huge and exciting to race together with so successful biathletes. BFH: Next year is an Olympic season too. How do you see your chances for Sochi? Giota:.Unfortunately, my chances for biathlon for Sochi are small. Until now, I do not have any female teammates able to race with me in World Championships so Greece’s Nation Cup Score is poor in comparison to other countries. Moreover, IBU allows only to the first 28 countries to compete in the Olympic Games which is quite disappointing...Olympic Games are the greatest celebration for the sport and all countries should be able to compete. Although, I am not giving up and I am going to prepare myself as good as possible for the upcoming winter. BFH: What's your B-plan? What objectives would you like to perform in the next season? Where can your fans meet with you? Giota:.My B-plan is cross-country skiing. I was always racing in cross-country races together with biathlon. Therefore, during season 2013/14 I would like to compete in the three IBU Cups before Christmas as well as in some cross-country competitions in order to try my chances in cross-country for Sochi. Although, my schedule is not fixed yet as it depends on the financial support from our federation and my time off from work! BFH: When did you start your career, and why did you choose specially biathlon? What was your most memorable moments in your career? 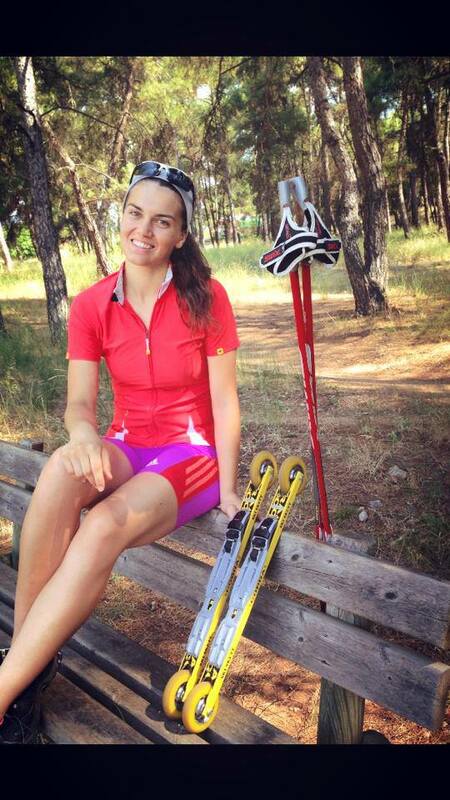 Giota:.I started cross-country skiing in 2004 at the age of 14 and biathlon in 2008. My mother and father were biathletes, actually my father is still active so he “is” a biathlete for more than 25 years now. He encouraged me to give it a try and I realized how interesting and exciting biathlon was. My qualification for Vancouver Winter Olympic Games together with the person who was the reason to start biathlon, my teammate, my trainer and my father is the most memorable moment in my career. BFH: Greece is also a little nation in biathlon. Is this sport popular in your country? How do you train? Are any condition perfect to prepare yourself successfully? Giota:.Biathlon is not popular in Greece. We do have some small mountains and Greeks are aware of skiing but Hellas is not a country with tradition in winter sports. There is NO shooting range, our training camps are less and shorter due to national financial problems, there are not funds for ammunition, so conditions are not that unique. Me, as well as my teammates are not professionals, each one of us has studies, work etc. And we may not be among the leading countries or athletes, our chances in preparation may not be the same, but we do share a common thing; our love and passion for the sport. BFH: The union between the athletes of little nation is more stronger than the top athletes. With which nations do you have the best relationship? Who is your best friend from the athletes? Giota:.That’s true! We also help each other during competitions as we share the same shooting lanes and wax rooms. So, we get closer and we become friends. Unfortunately, due to university studies and work I did not spend a very long time during winter season together with the other athletes, until now. But I can tell that it is always very nice to see our biathlon friends from Bulgaria, Macedonia, Bosnia, Turkey, Nederlands, Spain, Greenland and of course Hungary(!) who where cheering for me in the tracks this year in Nove Mesto and I am grateful for that! BFH: How did you spend your rest time in spring? You traveled to somewhere, or you were with your friends and family? What do you usually like to do? I really love spending time with my family and good friends, I enjoy popcorn and movies and alpine skiing as well as other sports in the nature. BFH: We'd like to say thank you again, we hope you a good preparation and a sucessful season. Finally, have you got some special messages to the Hungarian fans? Giota:.Thank you for your interest! Keep sharing your love for the sport and I hope to see each other on the tracks! Special thanks for this picture, because it was made specially for us in today morning's training!